Create complex business idea maps, plan strategies, tasks, projects and events with this powerful and intuitive piece of software. If you are a business manager who wants to increase your own and your employees’ productivity, you may benefit from a tool like MindGenius Business. It can help you create mind maps, brainstorm ideas, create presentations, manage tasks and projects. The application enables you to create original maps, but also offers numerous templates, organized in relevant categories, that are best suited for certain tasks. You can modify the map layout to better display the necessary information, and there are multiple layouts to choose from: diagram, output or input tree, outline, affinity, organogram and funnel. You can expand and contract various branches and assign multiple types of information to each of them. The program allows you to insert notes, attach files, add hyperlinks, images or even link a branch to another map. MindGenius Business includes a built-in map explorer, that you can use to view the project in an expandable tree view that allows you to quickly navigate between various map levels. Various tasks can be assigned to particular branches, to help you manage activities that need to be performed, and every branch can be allocated certain resources. You can specify a task’s start and due dates, priority, status, duration and cost. The information can be viewed as a resource map, that offers a detailed representation of the tasks and resources assigned to various branches. MindGenius Business allows you to design interactive presentations that are automatically updated when data in the associated map is modified. You can play the resulting file within the program and it offers an interesting feature that allows you to edit sections from your map while a presentation is taking place. The created presentation can also be exported to PDF or PPT, so that it can be viewed in Microsoft Powerpoint. Overall, MindGenius Business is a comprehensive and intuitive application aimed at business owners who want to increase their company’s productivity by creating mind maps, organizing projects and sharing information efficiently. Mind Map with purpose using our new exciting features exclusive to MindGenius 2018. 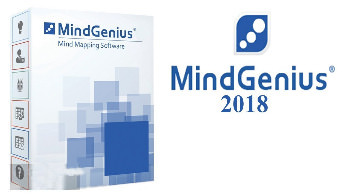 MindGenius 2018 comes complete with a fresher, sleeker and more modern User Interface making navigating around the product easier and smoother. Using the new Dynamic View functionality, you can quickly switch between map and task view. Or move from Resource View to your Gantt chart. You will now have the ability to view your resource task allocation as Task Cards. Assign resource, start dates, due dates and percentage complete to your map, then switch to Resource View to display your current tasks. View snapshots of dates and duration of individual tasks – overlay up to 10 snapshots on your Gantt chart at any one time. Solution Finder is a powerful tool for brainstorming and innovation. By breaking down thoughts into six “parallel” or “lateral” areas, it allows a spectrum of thought, from gut feeling to data analysis, to be separately discussed. By using these six types of thinking in a structured way, groups can more effectively approach problem solving.